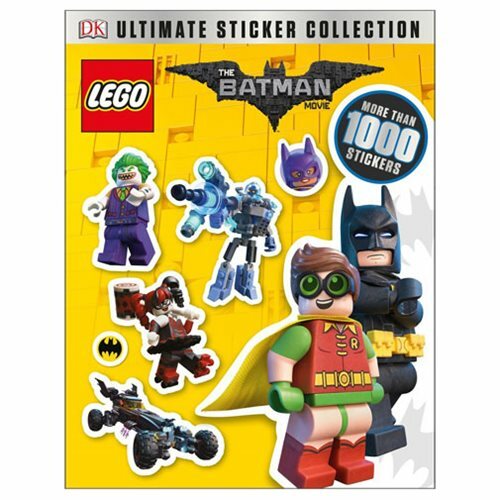 Relive the excitement of The LEGO Batman Movie with more than 1,000 full-color stickers of key characters and vehicles. The LEGO Batman Movie: Ultimate Sticker Collection Paperback Book combines fun and informative captions with a range of innovative and engrossing sticker activities. The LEGO Batman Movie: Ultimate Sticker Collection Paperback Book is a must-have for all LEGO Batman fans. The 96 page paperback book measures about 11 1/10-inches tall x 8 3/5-inches wide. Ages 6 and up.